Scottish Fire and Rescue Services statistics for 2017-18 have revealed the nation’s fire fatalities figure remained static at 44, and while the number of deaths across Tayside and Fife has dropped, data has shown significant upward spikes in other demands on local crews. They include big rises in chimney fires, including a massive 155% jump in Angus, where malicious false alarms also doubled. Across Scotland, crews attended 91,695 incidents, with fires accounting for 26,115 call outs. Almost 60% of the incidents were false alarms, with primary and secondary fires accounting for 27.6% of the total. More than 60 attacks on firefighters were reported, leading to seven being injured. The annual statistics reveal that while the fire incidents total across Scotland dropped 4.2% from the previous year, Fife’s figure increased by 17.6% and Angus’s by 14.3%. Dundee (7%), Perth and Kinross (0.2%) and Aberdeenshire (7.9%) all showed downward trends. In Fife, the number of fatalities and fire injuries both fell significantly. Two fire deaths represented a 50% reduction from the previous year’s figure of four, with the non-fatal casualty figure dropping from 73 to 40. There were no fire fatalities Angus during the year and 21 fire-related casualties was the same figure as the previous 12 months, but sizeable increases in secondary and chimney fires contributed to the overall increase. All areas of Courier country witnessed a drop in the incidence of house fires, but Dundee has the third highest rate of dwelling fires in Scotland, behind West Dunbartonshire and Glasgow. 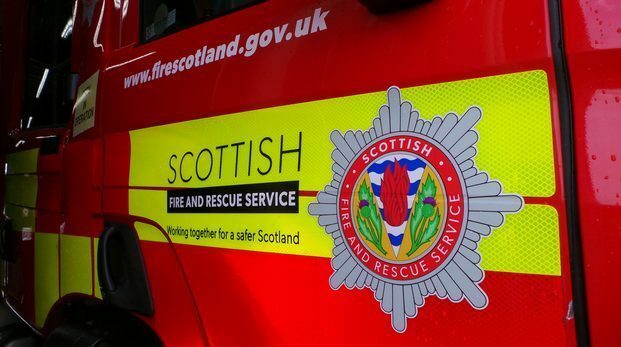 SFRS director of prevention and protection, Assistant Chief Officer David McGown said: “Our move to a greater prevention focus has seen fires decline by more than 40% across Scotland in the last decade. However, we must remember that every fire has victims and consequences. “The cornerstone of our prevention efforts is our free home fire safety visit programme. “They help reduce casualty numbers by ensuring the presence of a working smoke detector and a dedicated fire safety plan. Addressing malicious calls and unwanted fire alarm signals, ACO McGown added: “Education remains one of the most effective ways when dealing with those responsible for malicious calls. “Those who make malicious calls to the emergency services need to be aware that their actions can prevent crews from attending genuine emergencies, which can have devastating effects.